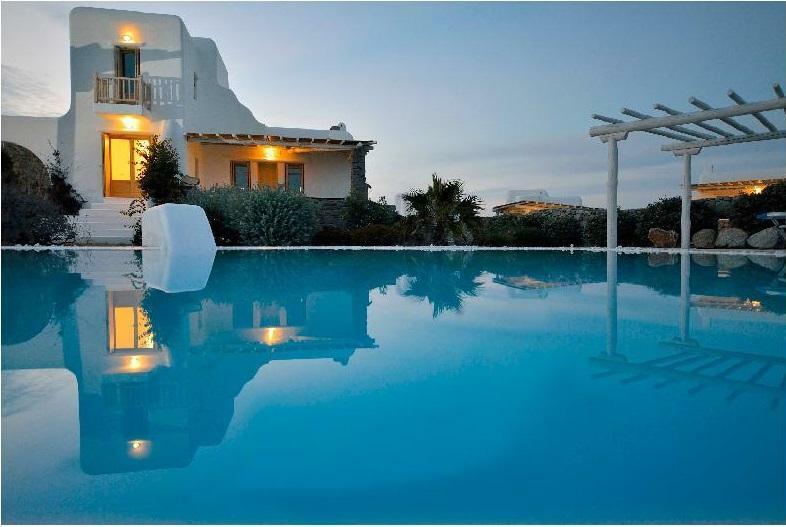 Newly built villas approximately 140 sq.m situated at Paranga in Mykonos with breathtaking view of Paranga and Platys Gialos beaches. Cozy interiors and spacious outdoor areas by the pool create a relaxed ambiance, while beautiful sandy beaches are only a few minutes’ drive away. 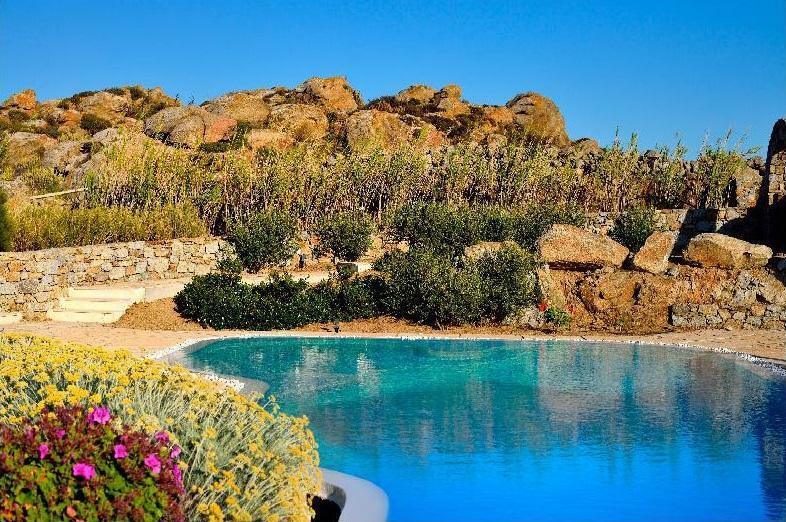 The distance from Mykonos Town is just 3 km and 1,5 km from the airport. 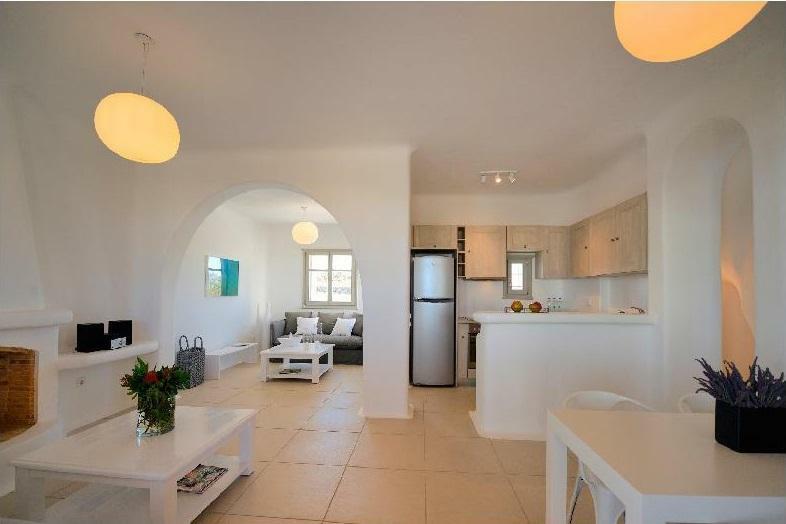 The villa has three bedrooms plus a smaller one, three bathrooms and living room area. 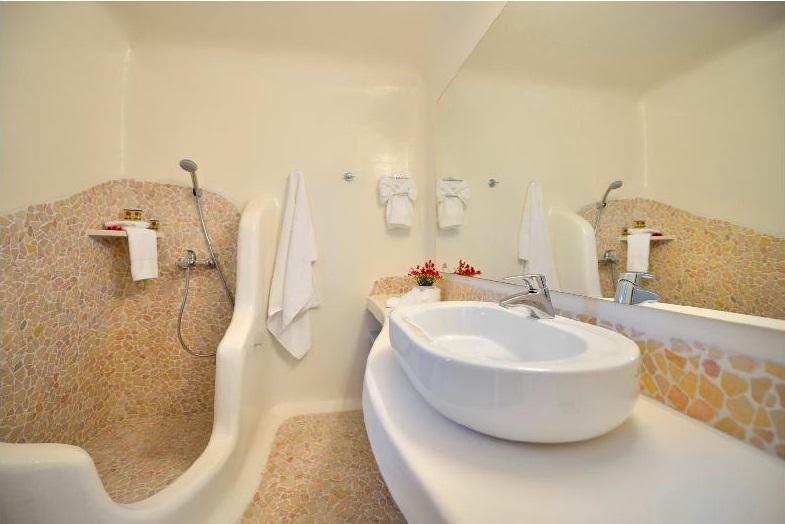 There is one double bedroom, two twin bedrooms and one bedroom with bunk beds. There is a large 60 sq.m. 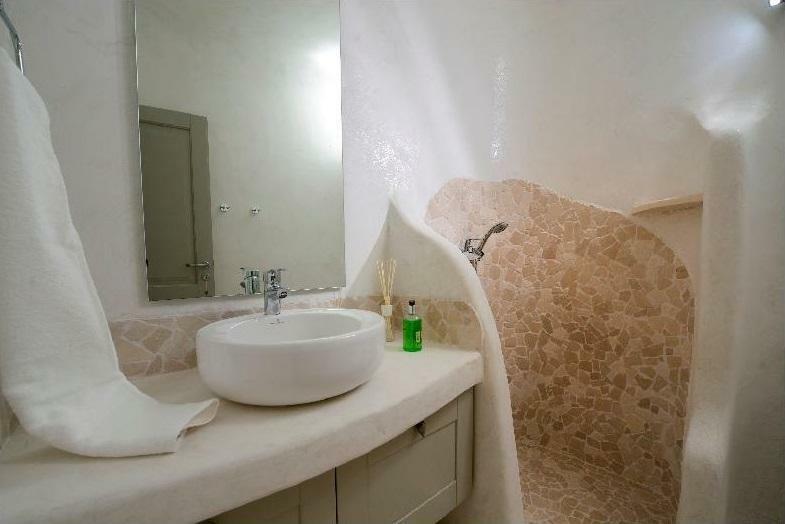 swimming pool with Jacuzzi and underwater seats which is shared with one more villa, surrounded by specially designed areas paved with terracota-coloured marble and a beautiful pergola. 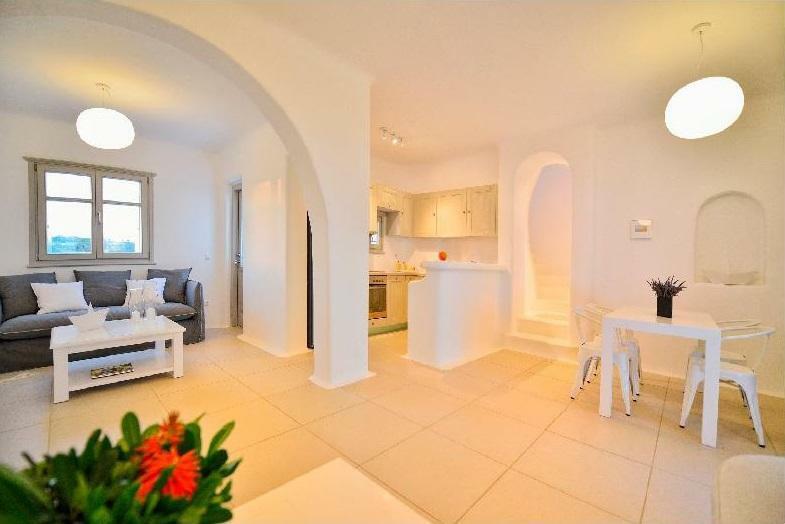 The villa is built according to the traditional Myconian architecture within perfectly designed, lush gardens. The construction is of high quality and taste, allowing for all modern facilities. 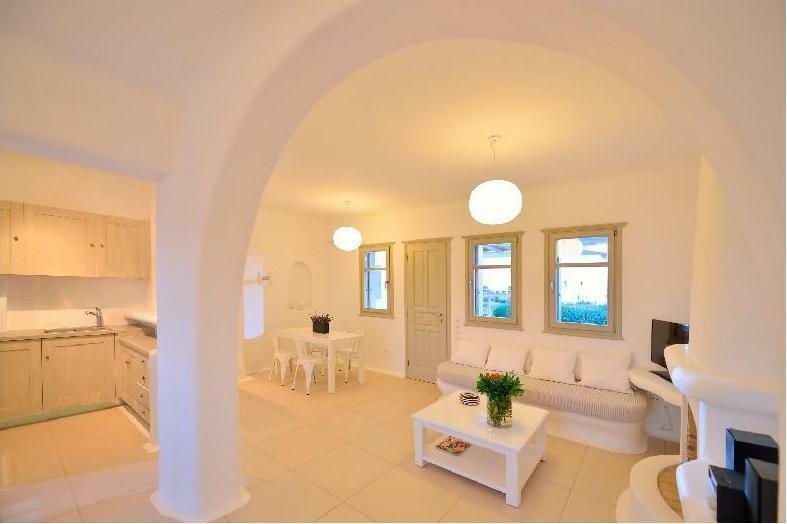 The main features include white plaster, local stone, natural rocks, in-built couches, large verandas with wooden pergolas and Cycladic arches. 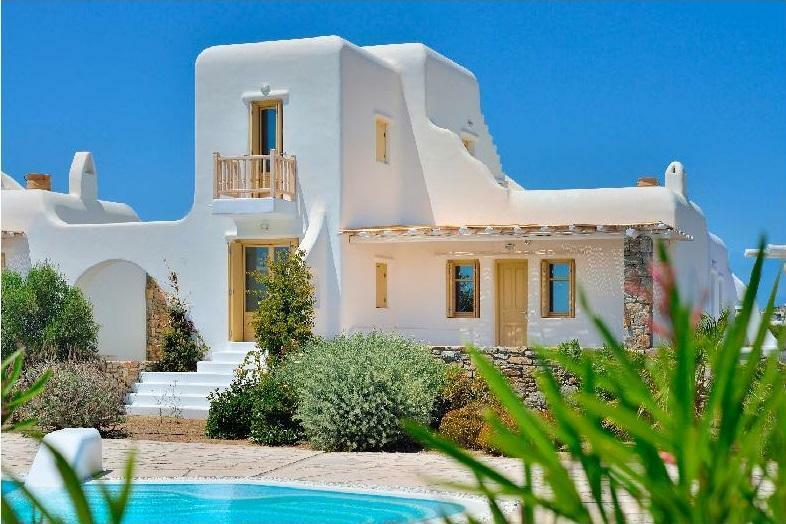 Villa Calix 5 is secluded and away from traffic and city noises, it allows easy access to cosmopolitan Myconos while ensuring the tranquility and peace of the countryside.